Boston Celtics forward Jayson Tatum dribbles against Philadelphia 76ers center Joel Embiid. For as bad as things went in the Sixers' Game 1 loss to the Celtics at TD Garden in Boston, Game 2 was even worse as Philly squandered a 22-point lead in the blink of an eye and got nothing out of star rookie Ben Simmons, who finished with just one point. 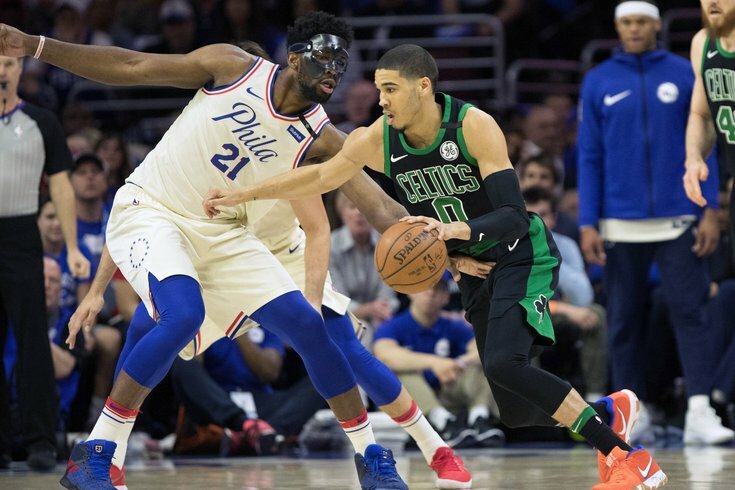 On Saturday evening, the series shifts to the Wells Fargo Center as the Sixers will look to avoid falling into a devastating 3-0 hole against the Celtics. Tip is scheduled for 5 p.m. and you can follow along here during the game for live updates as the action unfolds.